Tuesday February 12 Zumba Class cancelled – Snow Day! Posted by Zumba Lizy on Feb 11, 2019 in News, Zumba® | Comments Off on Tuesday February 12 Zumba Class cancelled – Snow Day! Lizy is an inspiration to perspiration! 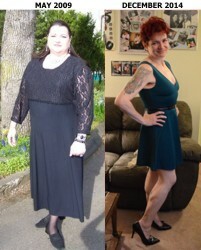 In Sept 2011 Lizy took the opportunity to make a difference in her life and has since dropped almost an entire person, 100 lbs and fallen in LOVE with Zumba®! Lizy became an instructor to inspire and motivate others to get moving and bring joy to their lives through dance and fitness. © 2016 Lizy Gipson. All rights reserved. Zumba© and the Zumba Fitness© logos are trademarks of Zumba Fitness, LLC, used under license. Sign up for our Class News!